Chop finely the garlic and cut the onions in fin strips. 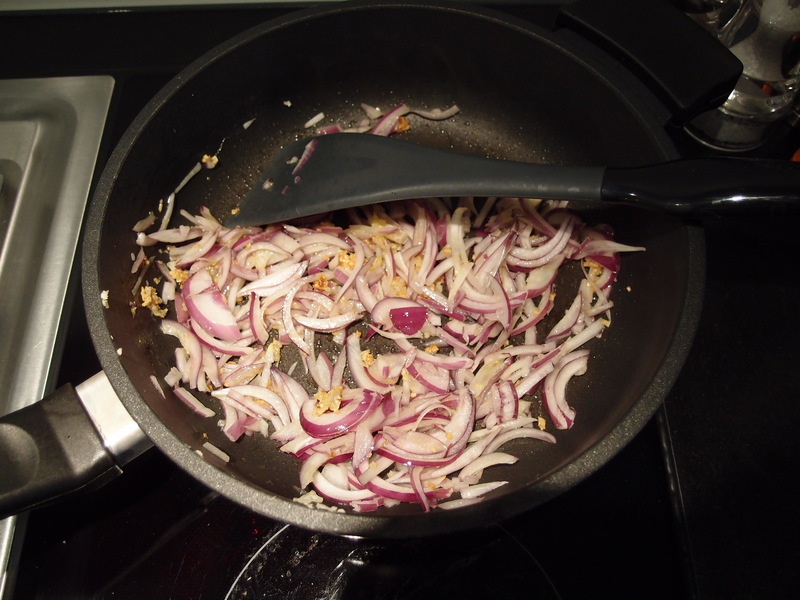 Heat some oil in a frying pan and add the garlic and onions till golden. 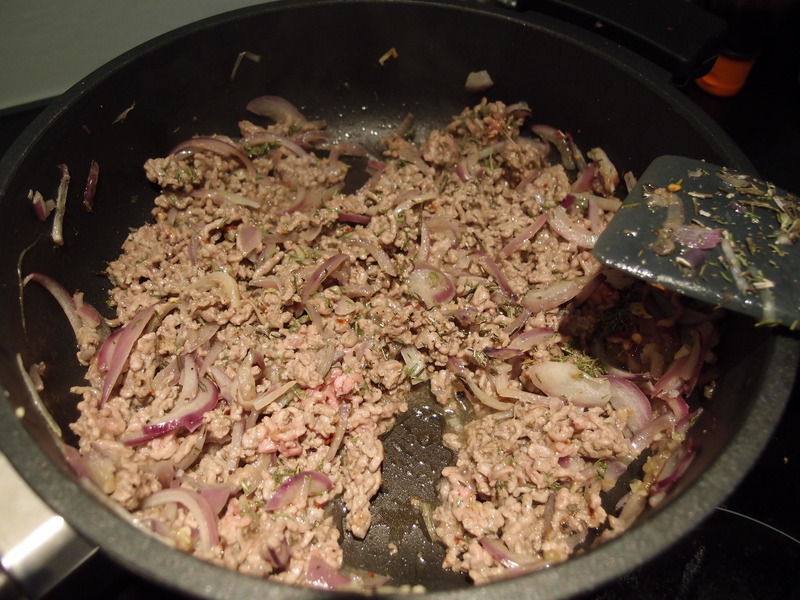 Add the minced meat till it is golden. Add pepper, salt and the thymian. 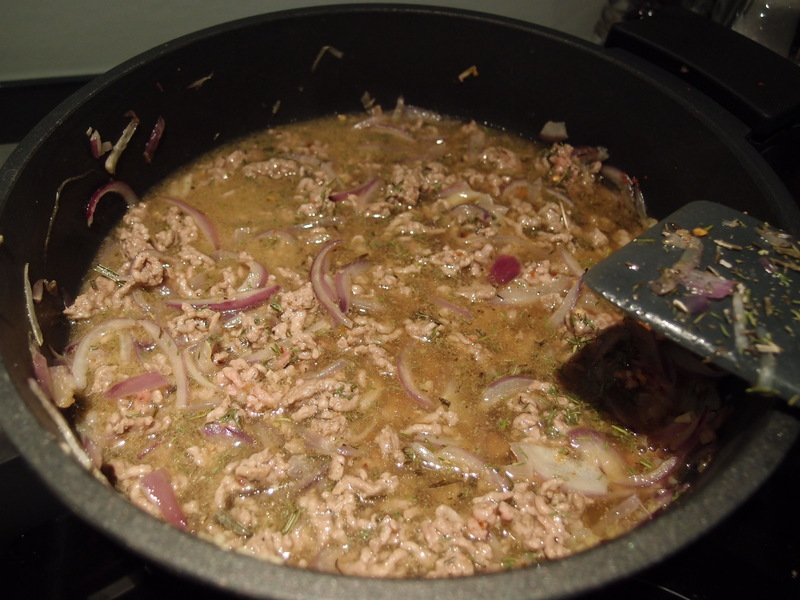 Add the beef stock and let simmer for around 20 minutes. 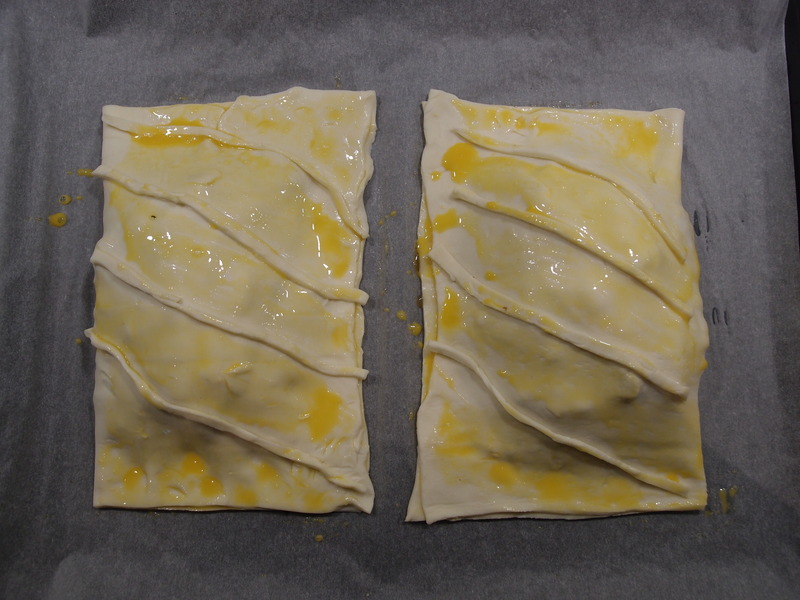 In the meanwhile switch on the oven to 210 C.
Cut 2 squares from the puff pastry of roughly 30 per 20 cm and put them on a baking tin. 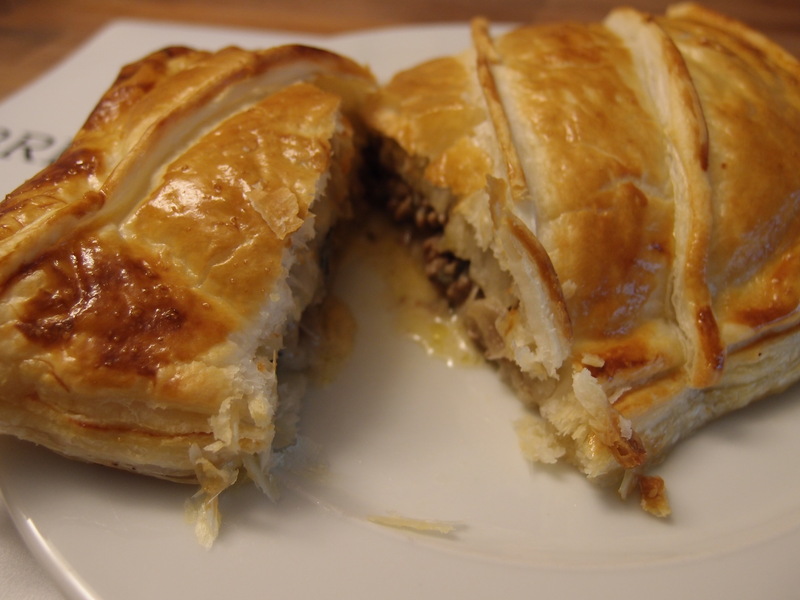 Add the cooked meat on one half of each puff pastry square making sure to leave 3 cm free from the border. 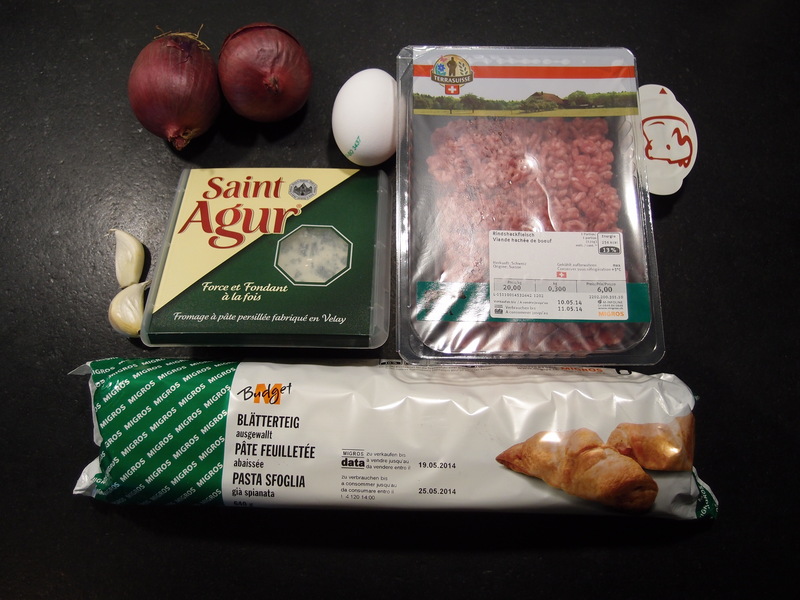 On the top of the meat add the cheese which you previously reduced to small pieces. 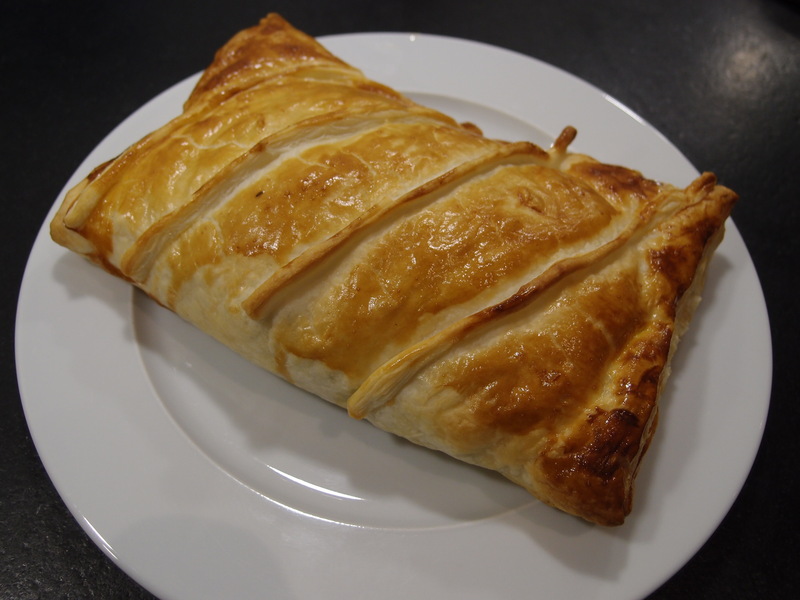 Whip the egg and brush the free edges of the puff pastry. 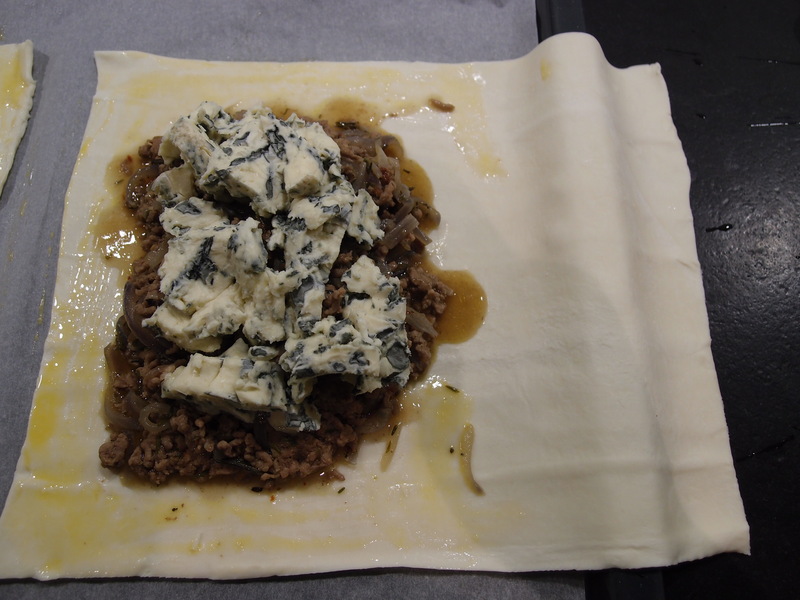 Cover with the other half of the pastry and make sure that the borders are sealed. Brush the rest of the egg on the top and put in the oven. Bake till golden-brown. Best served with some salad.